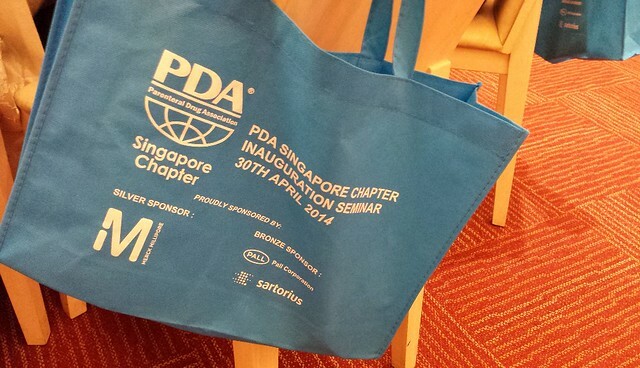 The chapter was founded in September 2013 to serve PDA members in Singapore. The Singapore Chapter welcomes you to participate in the activities of the Chapter established to connect the industry stakeholders in the Singapore region and beyond. The Singapore Chapter intends to organize events that are current "hot" topics in the industry. We open our events to both members and non-members. Please feel free to add us on our LinkedIn page, contact the Chapter Officers, or e-mail us at pda.sg.chapter@gmail.com if you have any questions, comments or suggestions. You may also use our email to register to receive our event newsletters. If you are a member of PDA but have not applied to be a Singapore member, per requirement from Registry of Societies (ROS), please fill in the attached form and e-mail the signed form to pda.sg.chapter@gmail.com. Dinesh is currently responsible for supporting Amgen’s outward facing efforts to collaborate effectively with industry PEERS and regulators to engage, understand, translate and deliver impact in the evolving external GxP landscape. Prior to Amgen, Dinesh held the role of Director, Therapeutic Products Branch at Health Sciences Authority (HSA), Singapore. During his 10 years tenure in the agency, his main role was to manage, oversee and drive the key development, review and administration of the pre-market regulatory framework for western medicines. In that capacity, he was mainly responsible for review of product dossiers and market authorization of innovative chemical drugs, generics, biotherapeutics, biosimilars, combination products, vaccines, plasma-derived medicines and advanced therapy medicines. He was also active in regulatory agency consortia such as Australia-Canada-Singapore-Swissmedic (ACSS) consortium and International Generic Drugs Regulators Program on convergence of requirements for market authorization in 16 regulatory agencies including EMA, US FDA, Brazilian ANVISA, Japan PMDA, South Korea MFDS, Mexico COFEPRIS and South Africa MCC. Additionally, he held the positions of Chair of 10 ASEAN Member States’ Pharmaceutical Products Implementation Workgroup, Co-chair of ASEAN drugs and biologics technical working group on harmonization and implementation of medicinal products registration requirements and Temporary Advisor at WHO on Biotherapeutics, Biosimilars, Vaccines and National Regulatory Authority Assessment. Prior to this, he held several different roles in Industry and Academia for over 20 years in biopharmaceutical manufacturing, QA/QC, GMP, assay development and validation, auditing, clinical reference laboratory, disease diagnostics, and university teaching & research in pathology, parasitology and molecular genetics. Dinesh received his Ph.D. in Cell and Molecular Biology from the National University of Singapore. He is an American Society for Quality Certified Quality Auditor and Biomedical Auditor. He has also earned certificates in Clinical Trials Management and Healthcare Policy and Governance. Wallace I. Torres is the Executive Director – Site Quality Head for Amgen Singapore Manufacturing. He is responsible for all the Quality units that provide support to the Manufacturing operations on a Single Use Systems (SUS) plant. Wallace joined Amgen in 2013 as Quality Assurance Drug Products Director, where he led several QA teams directly supporting Manufacturing operations. In January 2015, he was promoted to Executive Director of the Quality Systems, Complaint and Quality Engineering teams and was doing this role until the transfer to Singapore. Prior to Amgen, Wallace worked for 25 years at Hoffmann La Roche in several positions in the QC/QA, Manufacturing, Strategy, and Supply Chain areas. His experience includes responsibilities as Site Head of Manufacture, Global Head of Risk Management, Global Quality Manager and QA/QC Head at Contract Manufacturing facilities. During the years he also held several leadership positions in Switzerland, USA, Mexico and Brazil. He holds a B.S. degree from the University of Puerto Rico (Biology), a MBA from the University of Phoenix (Management), a MBA in Advance Management Practices from the University of South Australia and a Doctorate on International Business Management (Ph.D.) from the Swiss Business School. Sudhir is a Pharmacist by training. He has over 30 years of industry experience in Pharmaceutical Manufacturing and Operational Quality. His expertise includes steriles manufacturing, API and oral dosage formulations. At present he works as senior compliance officer with Novartis Pharmaceuticals, Singapore. Andiyanto Sutandar is the Technical Director of HGP Asia. Andi leads HGP's Manufacturing Science and Technology service unit. Andi has broad but in-depth experience in qualification and process validation, technology transfer, new product introduction, deviation and non-conformance management, supply chain and manufacturing workflow optimization and project management for the pharmaceutical industry. Additionally, Andi’s experiences also include design and management of high containment facilities for the research of infectious diseases and infection risk management. A registered pharmacist, Dr. Emily Cheah is currently the Managing Director of Charles River Laboratories Singapore (Microbial Solutions division). In her role, Dr Cheah oversees market and strategic technical operations in Singapore, Malaysia and Indonesia; and is involved in implementation of new technology and services at the Singapore site. Dr Cheah received her PhD in pharmaceutical technology from the National University of Singapore. Bruce performs regional and global auditing of GSK Vaccines and third party provider sites and functions focusing on AsiaPac. He is responsible for Audit Risk Assessment preparation, Audit Planning, Execution and Reporting (including CAPA agreement) both as Lead and Co-auditor. Bruce has 28 years in the Pharma and Vaccines businesses, variety of roles in Validation and Compliance in both Drug Substance and Drug Product Manufacturing in UK, France and Singapore. As a Technical Service Manager with STERIS Corporation based in Singapore, Richard has been providing technical training to customers in topics related to cleaning and bioburden control for cleanrooms, including disinfectant validation, as well as cleaning and cleaning validation for product contact surfaces. He is also a frequent industry speaker at ISPE events in various countries such as Singapore, Malaysia, Thailand, Indonesia, Philippines and India. Also presented in various industry events in China, Korea and Japan. Prior to joining STERIS, Richard had 13 years of manufacturing and validation experience working in dry powder inhaler plant, biotech sterile fill and finish plant, and medical device and biopharmaceutical facilities. He has in-depth understanding of the requirements of cleaning and disinfection in cleanrooms, as well as best practices in bioburden control and sterilization process. Richard has also worked 3 years as a validation consultant providing validation support to various pharmaceutical customers in the area of equipment validation, cleaning validation for product contact surfaces, disinfectant validation, as well as cleaning procedures for both product and non-product contact surfaces. Christina is the Director of Operations at CAI (Southeast Asia). She has 18 years of C&Q and cGMP experience in equipment operation and validation of various equipment, manufacturing facilities, cleaning processes and process validation with various clients across Asia. Additionally, Christina has extensive experience in project planning, process design and is experienced with technology transfer from R&D to Bio Manufacturing equipment, and in conducting GMP compliance audits within Asia. We encourage PDA members residing in Singapore, to volunteer with the PDA Singapore Chapter by contacting us at pda.sg.chapter@gmail.com or fill the Volunteer Opportunities form online. Event Sponsorship supports the Singapore Chapter by organizing quality events. Prefix Mr. Mrs. Miss. Dr.